Update: The time period for the effectiveness of this call has passed. Thank you to everyone who called! We just learned that the Senate has scheduled its first public hearing on their bill to fund NASA (and other agencies) for 2015. It will happen June 3rd. It's easy and only takes a minute. But we're worried that their version will not match the great funding level for planetary exploration proposed by the House of Representatives—$1.45 billion. This number is very close to our goal of $1.5 billion per year, and it includes strong funding for the next generation Mars mission and pre-planning activities for Europa. We're quite happy with it. So we're asking all space advocates in California and Maryland to call the offices of two specific Senators before the end of the week to encourage them to embrace the House's planetary number. Why California and Maryland? Well, Senator Dianne Feinstein of California sits on the appropriations subcommittee that oversees NASA, and Senator Barbara Mikulski of Maryland chairs that same subcommittee as well as the full Senate Appropriations committee. Both Senators' offices are primed on the issue. So if you're a constituent of either state, I strongly encourage you to call before the end of the week, even if you've called their offices before. It only takes a minute. And below is a brief script I wrote that you can use as a guide for what to say on the phone. 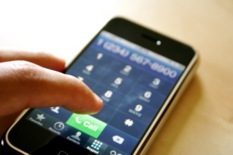 If you call, you'll speak to a staffer who will record your message. And, unfortunately for those outside of California or Maryland, they really only care if you're a constituent. Note: This is just an example, and you can phrase things how you like, but the important detail is that we're encouraging the Senate's Commerce-Justice-Science subcommittee to draft a NASA budget with at least $1.45 billion for planetary science. That is the level passed by the full House of Representatives on May 30th. Senate office: Senator X's office, how can I help you? 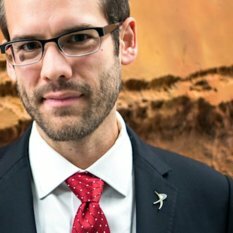 You: Hi, I'm a constituent of the Senator's and a registered voter, and I'm calling to encourage the Senator to support NASA and its planetary science division. The House just pass legislation, H.R. 4660, that funds planetary science at $1.45 billion in 2015, and I urge her to include similar language in the Senate's version of the NASA budget. I know that the Senator is on the appropriations subcommittee that covers NASA, and it's very important to me that she supports planetary science at the House's level. Senate Office: Thank you. I will pass that along to the Senator. Calling is easy! And you don't have to take my word for it. And if you do call, shoot me an email and let me know how it went. Also, help us create more space advocates and share this with your friends! Every call makes a difference.